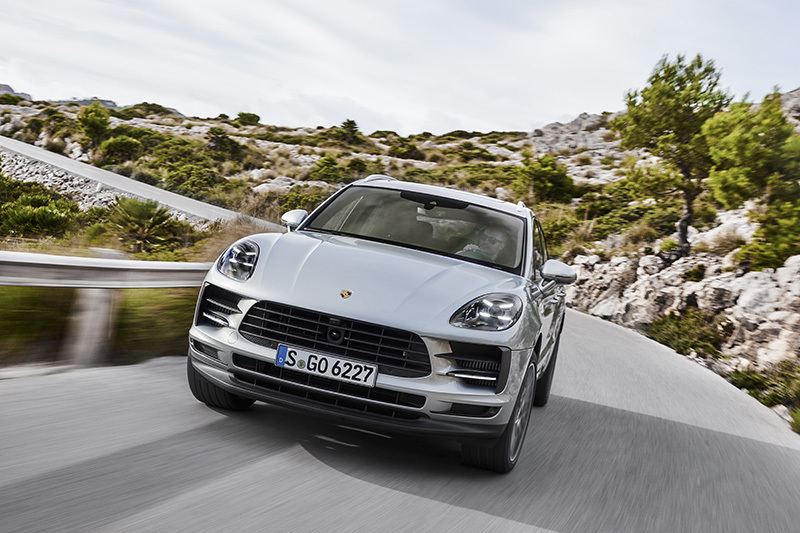 Topline: Porsche is finally offering up a mid-cycle upgrade for its aging Macan platform and is debuting its most notable change via its mid-level Macan S; a brand new 3.0-liter V-6 engine that packs more of a punch with half the number of turbochargers and less volumetric displacement than its older brother. 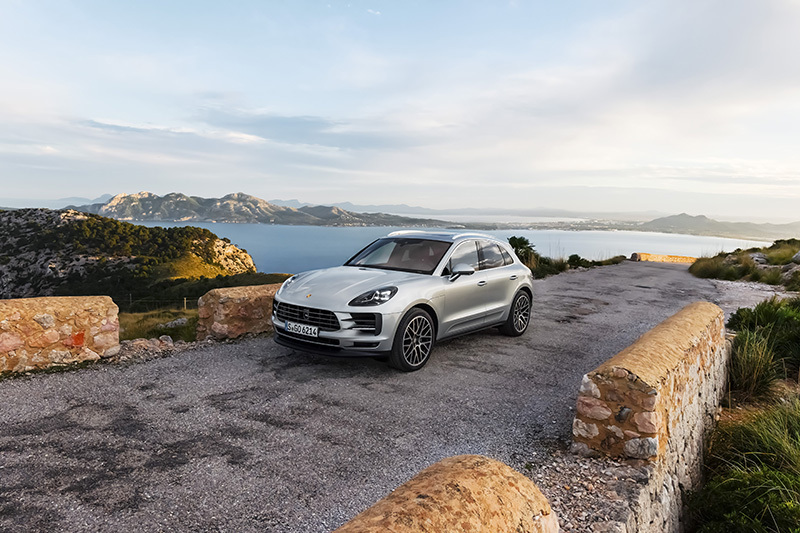 Various other visual and technical details have been updated to align with Porsche's vision, modernizing the performance-oriented luxury SUV. 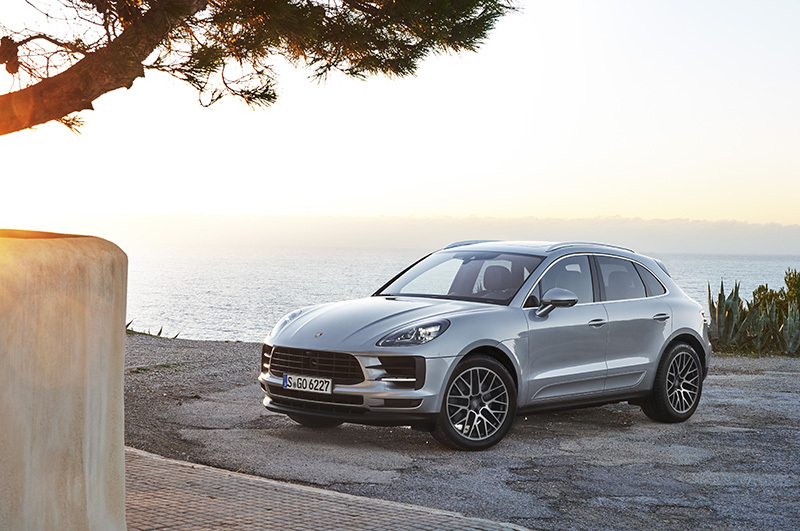 What's New: Rather than push a plethora of design changes, the Germans chose to focus on various mechanical and technological changes to the Macan in order to refine its notable charisma. 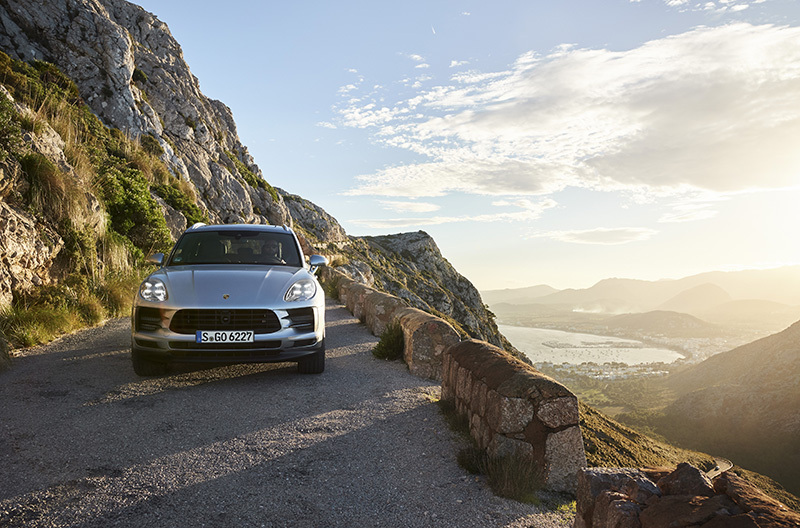 Porsche has stuffed a 3.0-liter V-6 engine into the new Macan S which produces a generous 348 horsepower and nearly reciprocal 354 pound-feet of torque, an increase from its predecessor's antiquated 3.6-liter which produced 8 less horsepower and 15 fewer torques. The automaker says that its new platform shaves a tenth of a second from its zero to 60 mile-per-hour time, enabling the SUV complete the sprint in 5.1 seconds (or 4.9 if equipped with the optional Sport Chrono package). The Macan S will share its engine with both the Panamera and Cayenne models and feature a "Hot-V" cylinder configuration. This means that Porsche has plumbed the exhaust piping for the SUV's V-6 to towards the center of the vehicle in order to minimize the distance that exhaust gasses will travel to spool-up the engine's single twin-scroll turbocharger, wasting less energy to exert the exhaust and snappier throttle response in lower-rev ranges. More power also called for a more refined braking system. Porsche decided to alter its brake feel by changing up its existing configuration with a lighter pedal and shortened master cylinder connecting lever, which when combined improves precision and responsiveness. The Macan has also had its front rotors upsized by 10 millimeters and added 2 mm of thickness. A few bits of plastic surgery were applied in order to bring the model more in-line with the automaker's modernized design language, and we're not the least bit upset. Subtle tweaks to the front fascia can be observed, as well as making its four-point LED headlights included in the standard package. However, the most notable change might be in the rear, as Porsche has carved its curvaceous heckblende-inspired continuous LED light bar across the hatch. 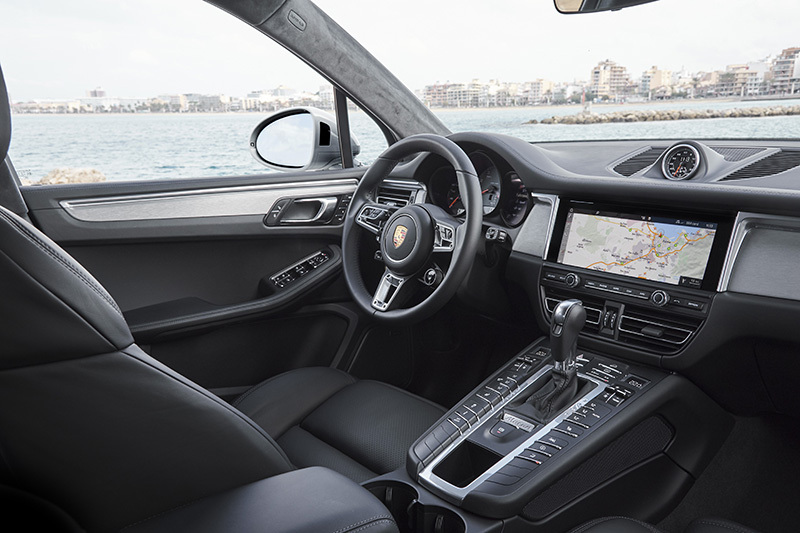 Inside the cabin, the infotainment has been up-sized to a 10.9-inch touchscreen display featuring the newest iteration of Porsche Communication Management (PCM). 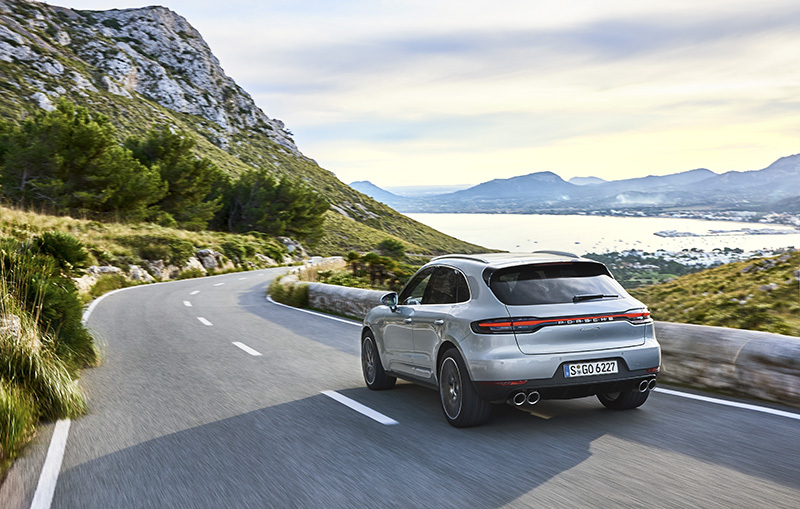 Porsche says that this brings real-time traffic information to the display, as well as a mobile hotspot and array of other connected services. It stresses that certain features are free only for the first year and will require a subscription to retain full-functionality after its initial trial period. And as a bonus, Porsche has fitted its retro-modern GT Sport steering wheel from the 911. 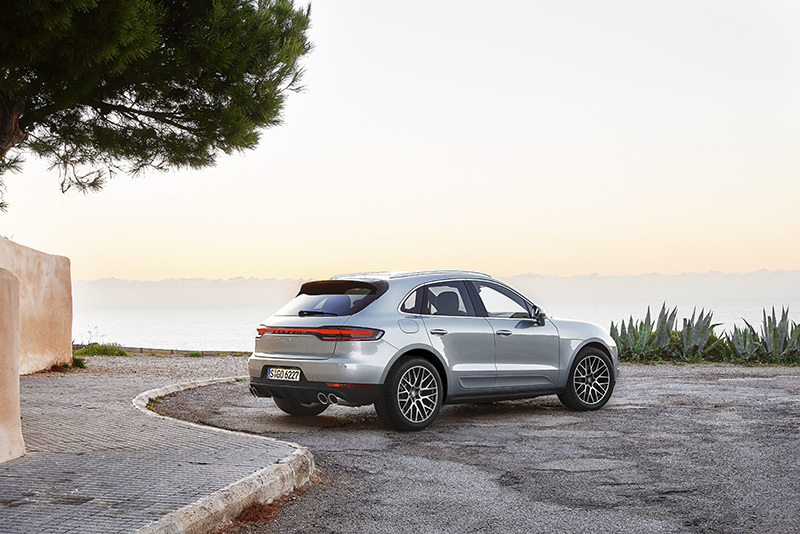 What You Need to Know: The various upgrades made to the Macan are more than welcome, especially the connected features which are rapidly becoming commonplace in newer vehicles. 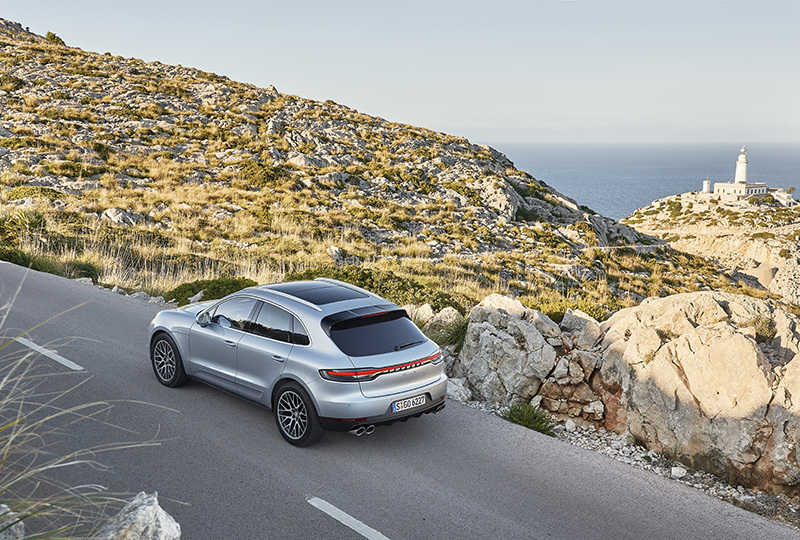 With a bit more power available at the driver's foot and reduced complexity thanks to its new single-turbo setup, the Macan achieves exactly what a mid-cycle vehicle upgrade is supposed to. Base pricing is slated at $58,600 (plus a $1,050 destination charge) and can be ordered starting today.